Figuring out prices that you need to charge for your online work is not easy. How to discover your value and price accordingly for right the profit from online services that your offer? 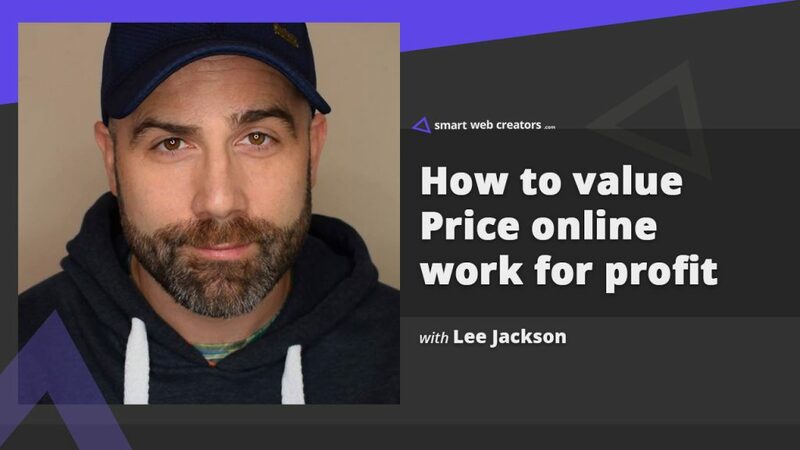 Lee Jackson shares all about pricing and ways to get that magic price figure right while doing online work. When you are new to the online world, focus on pricing your work takes a backseat and primary focus is just getting the work you can do. During that phase, everyone wants to win small battles and gather as much work experience. Is it right to assume pricing for beginners is not that critical subject? For a new person getting work which he can do is a big task and figuring out pricing is an unknown territory. Which resource or methodology would you recommend figuring out the price range? Learning to say to “no” – it took me a few years to realize that no is better than yes in a lot of opportunities that bump into you. How has been your experience in “saying no” and how can someone learn the art of say no? Another important thing is finding your sweet spot quickly. Doing specific things in your work profile and position yourself as an expert. How has been your journey in this regard and what advice would you give to someone wanting to do the same? Now, this is a very broad question, how can one identify or measure own value that would be a guide for setting price range for your online services? Should you factor in prices of your of competitors, like price your services lower or higher than their pricing? Where does free work or creating free online resources fit in enhancing your value and position yourself as an expert to command higher pricing? What are other ways to enhance your value, visibility, the authority that can help you get into higher price slabs? A lot of designers and developers fail at right messaging. Even clients raise a red flag about higher pricing by comparing with others in the market. How does one convey higher pricing and value to the client? Does mode of communication also help in this regard? Like is one to one video or in person meeting more convincing that audio or email conversations? Instead of telling one big price for a project, is it better to explicitly mention which components of the project costs what? Pricing is difficult not just for website building but also for other offerings in the online world like selling digital products, premium memberships. You run a paid membership community Agency Trailblazer, how did you decide on pricing for the same? A lot of people are torn between fixed project pricing and hourly pricing. I don’t do hourly for a complete project and hourly pricing is only used for additional changes required after the project completion. What has been your experience with hourly and fixed pricing dilemma? Just like you decide what clients pay you for the work, you also have to decide what you have to pay your sub-contractors and employees. How do you decide on that part like figuring out the percentage of project estimate or something else? Raising prices for new projects is easy, how does one handle increasing pricing for existing (vintage) clients wanting new project estimate or follow up work? Do you follow a strict yearly cycle of raising prices or do it when you feel like doing it? Our toolbox includes Gutenberg editor for WordPress. Use Beaver Themer addon and the Beaver Builder for development. We also use Elementor page builder for our own websites. Page Builder Framework theme is used for website development. Use Guru hosting for UK based websites and WP Engine for global websites. Keep it simple using Mailchimp for email marketing needs. Dubsado CRM for invoicing, leads and project management. For the last 5 years, I have been building up Angled Crown serving design and web agencies with custom WordPress development. They create the designs and we do the full builds. I also run Agency Trailblazer podcast for agency owners who want to grow their agency and in the process help reduce the stresses of running an agency. We also run Event Engine, which is WordPress powered even management content system. 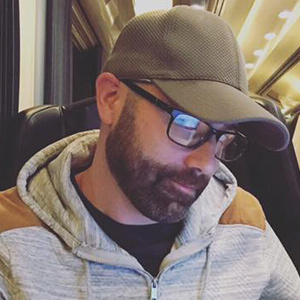 I’ve also built up my personal brand and have been educating agency owners and solo web entrepreneurs how to build agencies they love.